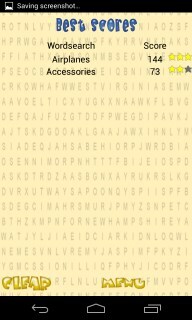 Find That Word! 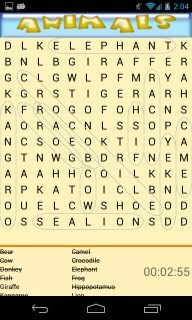 is an exciting word search game for mobile and tablet devices. Included are several fun word lists. 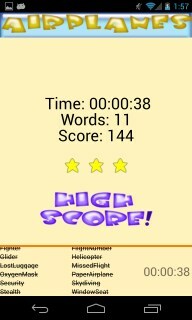 Each word list can be played unlimited times because each time you play, the words will show up in a different spot! 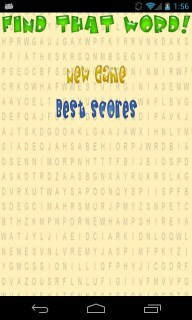 Try to beat your score and earn stars. Exercise your brain -- searching for word patterns is a great way to keep your eyes and your mind sharp. Learn new words and how to spell them. Hours of intellectual challenge will be yours. Best of all, it's FREE! Download today!